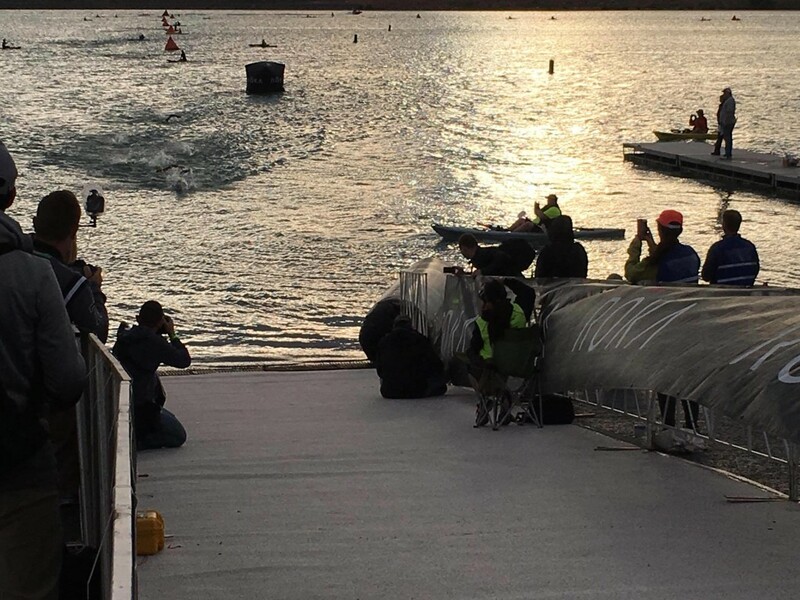 NEWS LIVE: This report contains news live as it develops and is being updated continuously. 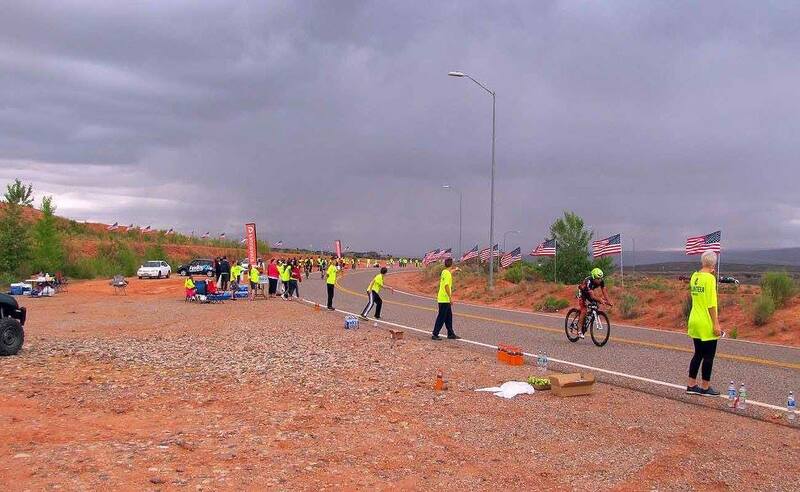 Bookmark and refresh the page periodically for updates and photos. 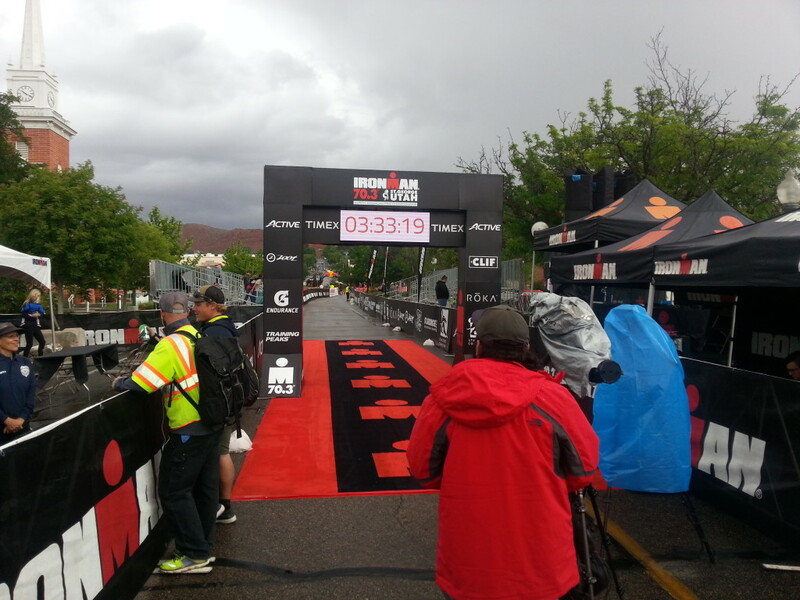 Last update 3:30 p.m. Fin. 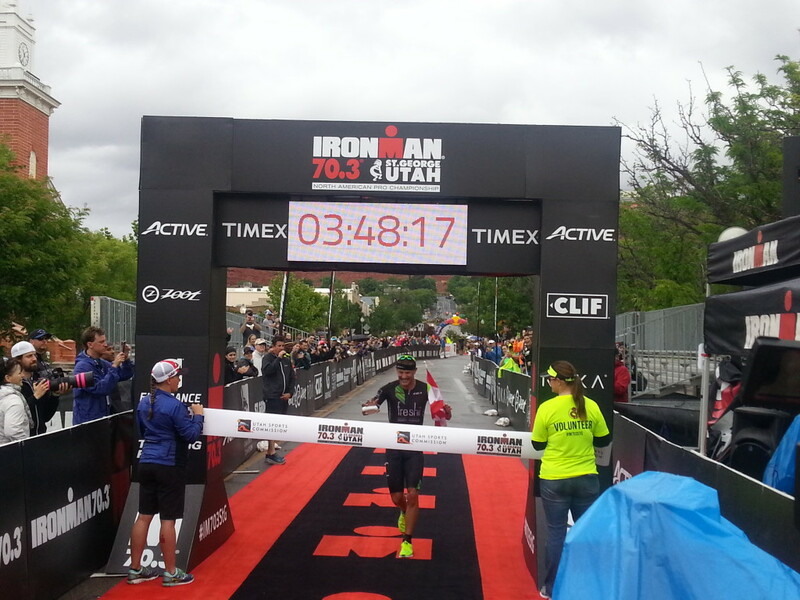 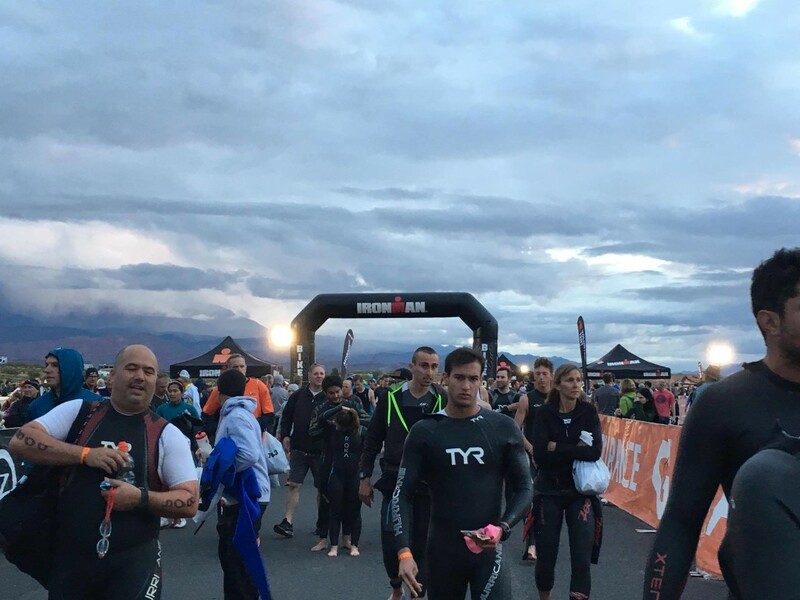 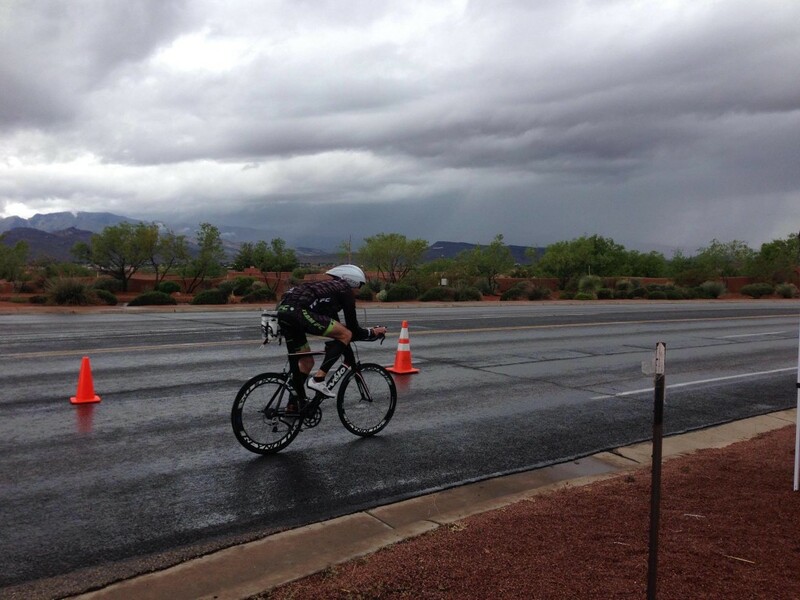 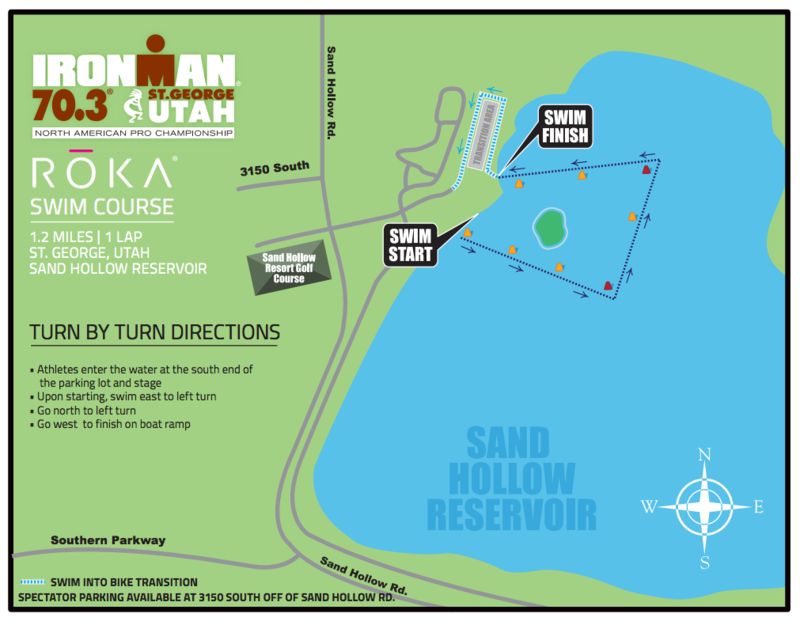 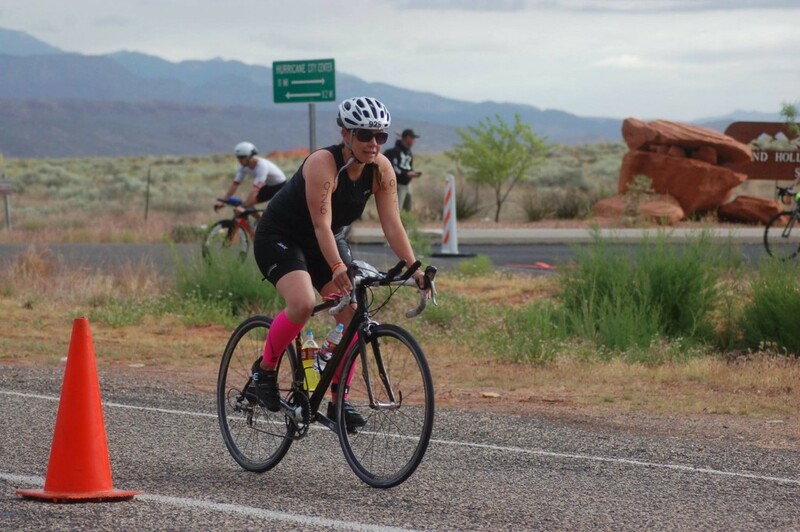 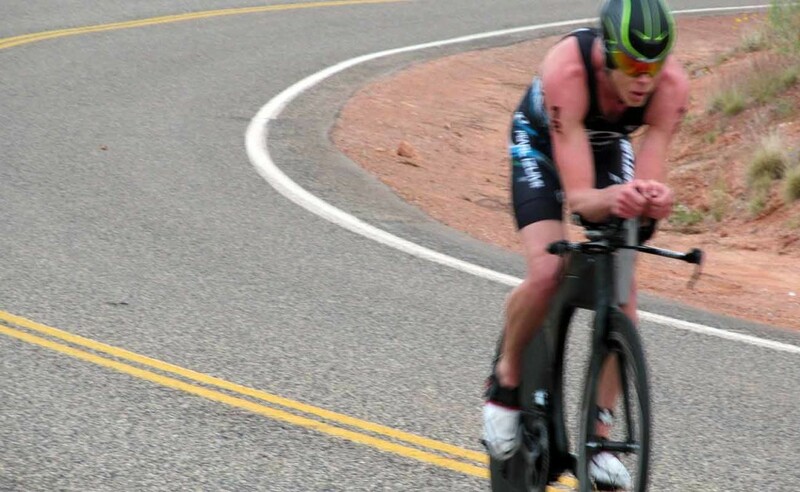 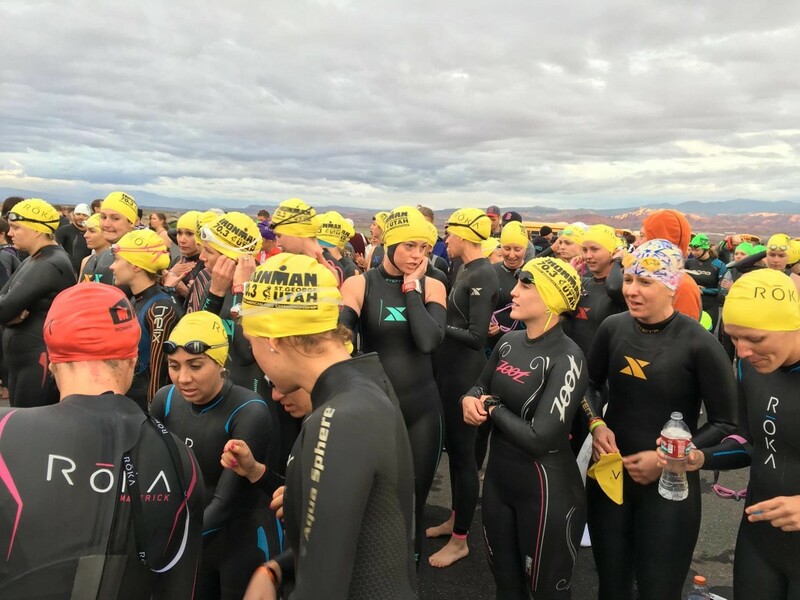 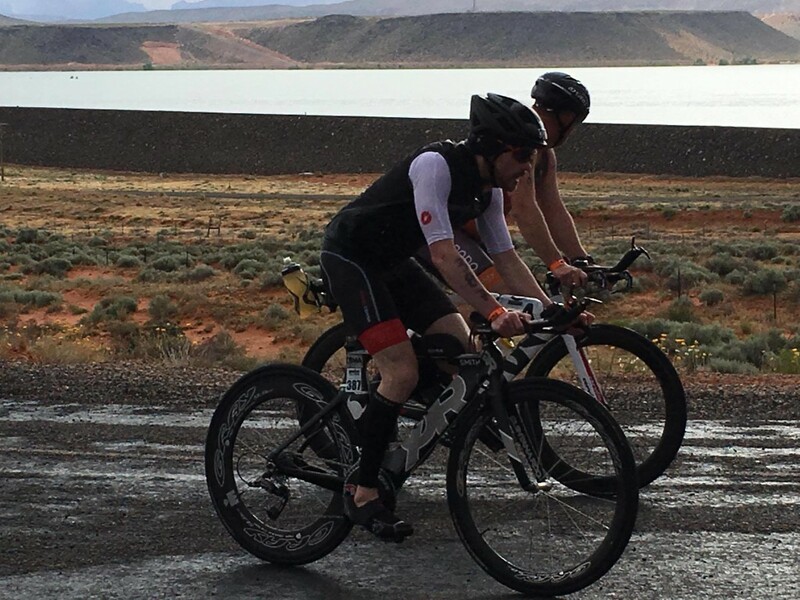 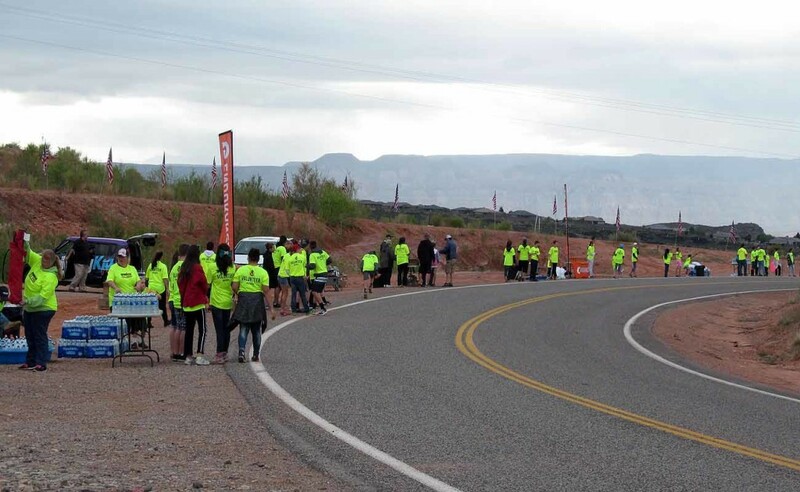 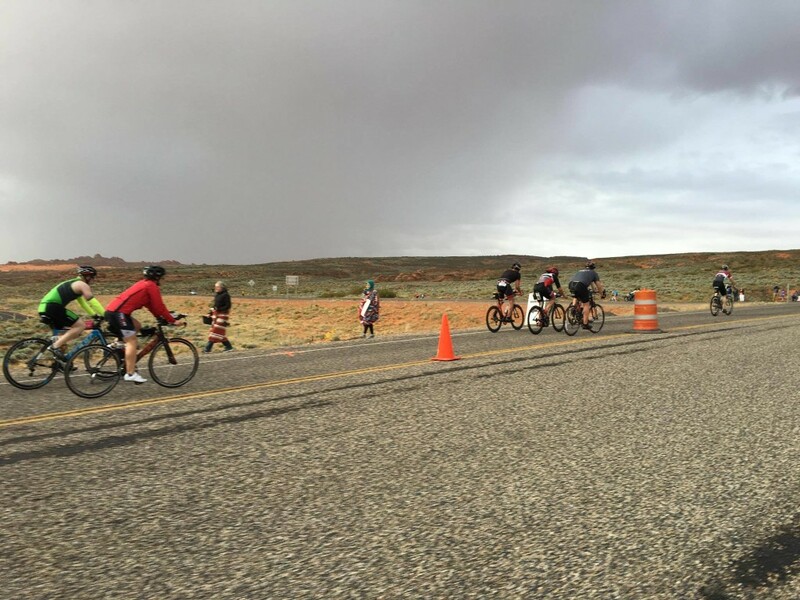 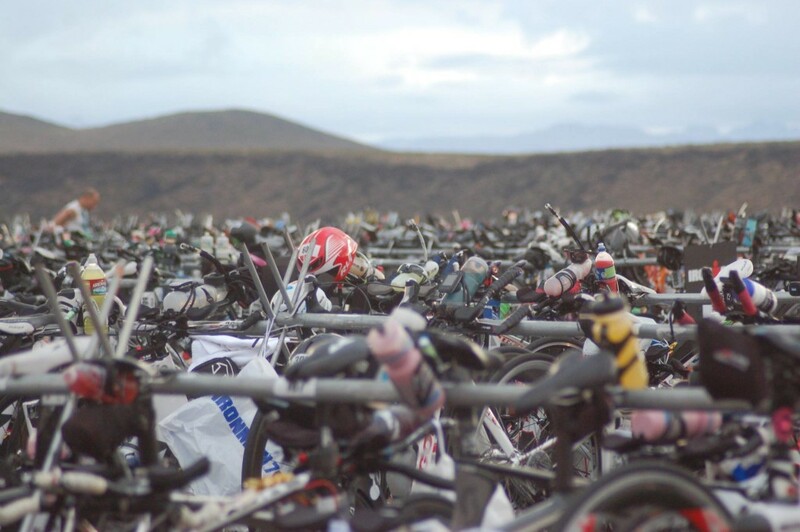 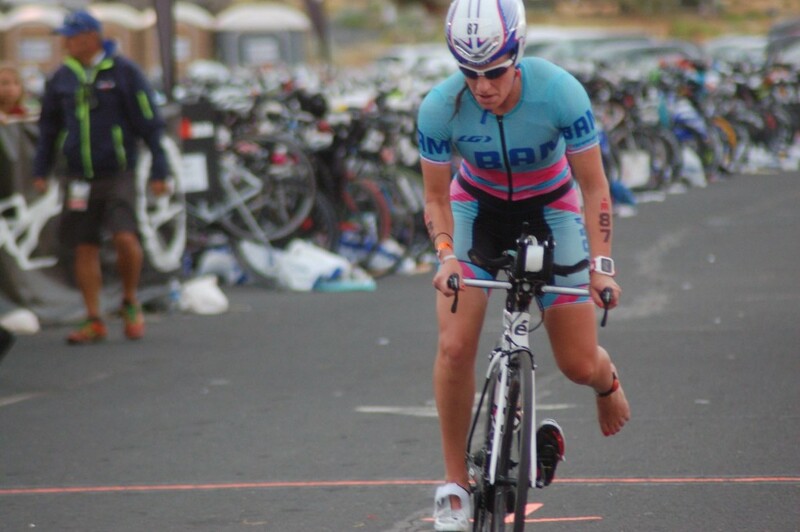 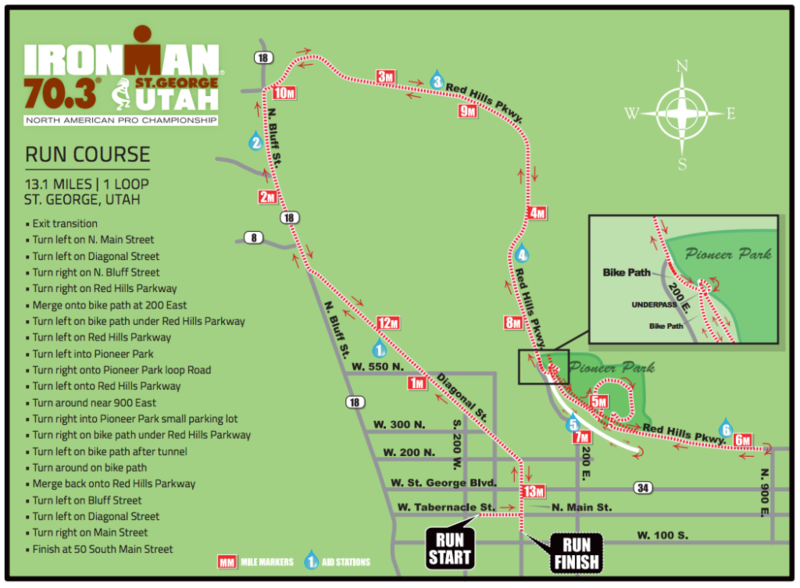 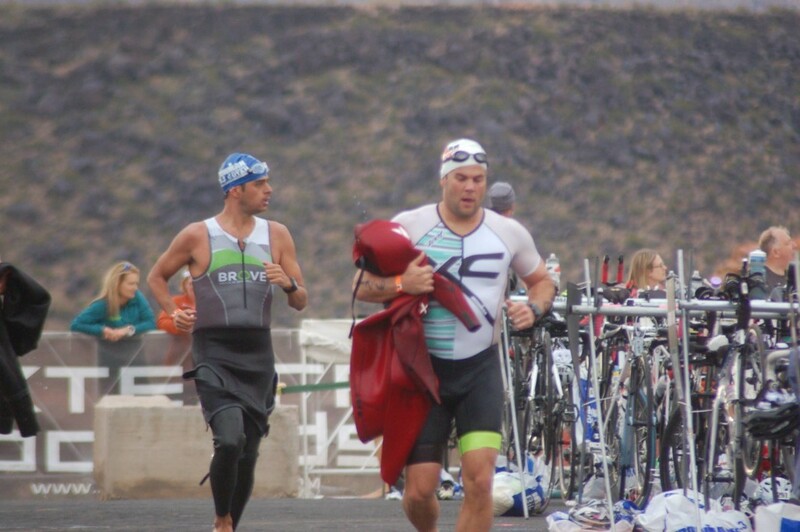 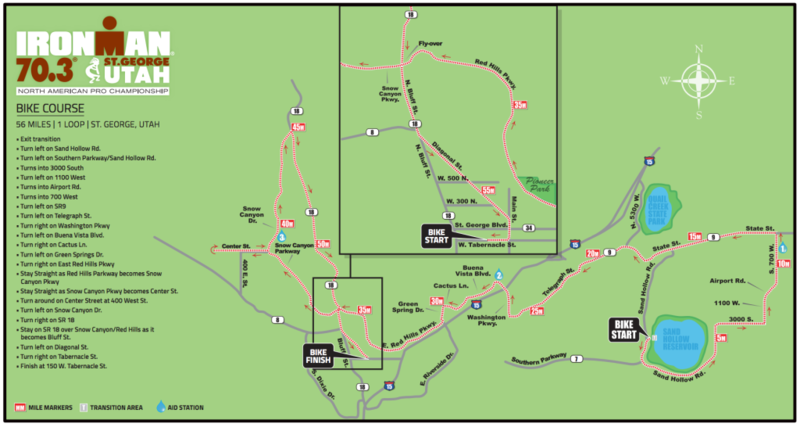 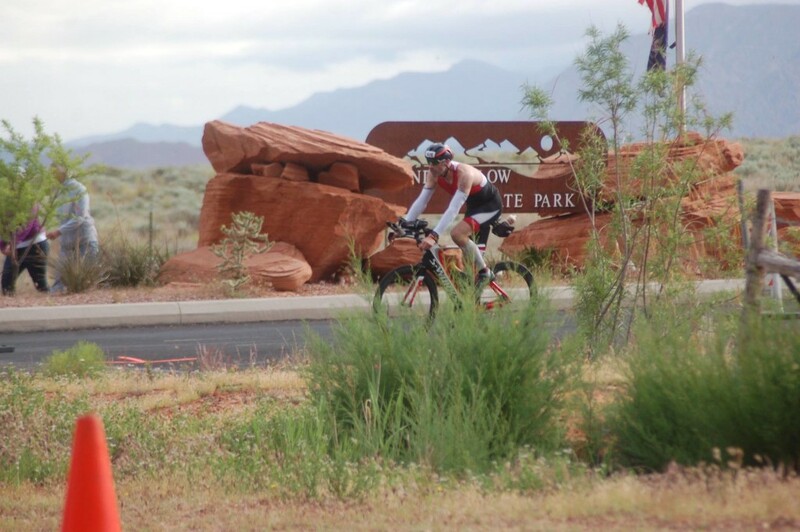 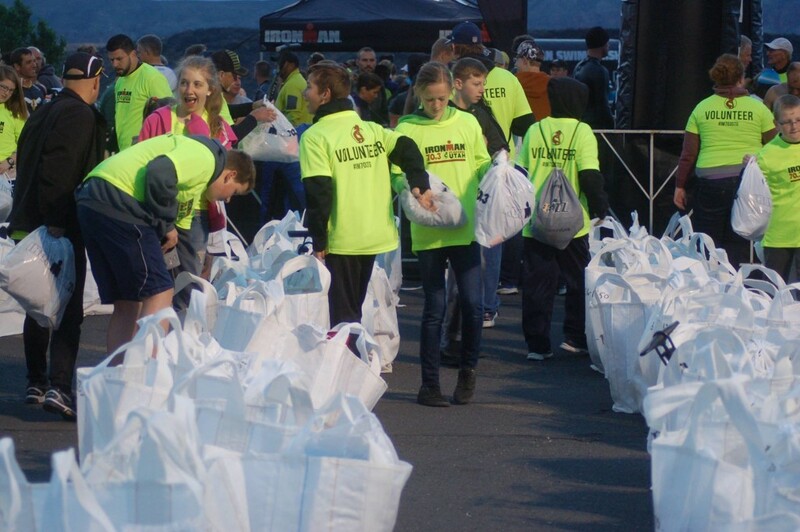 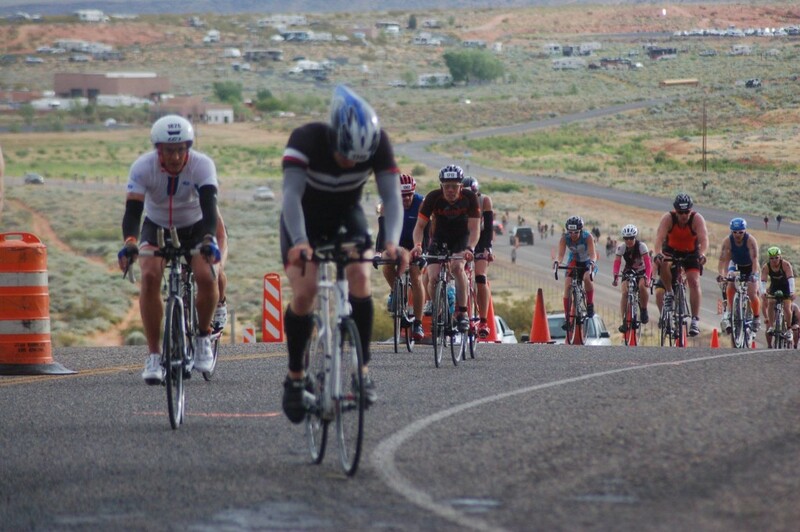 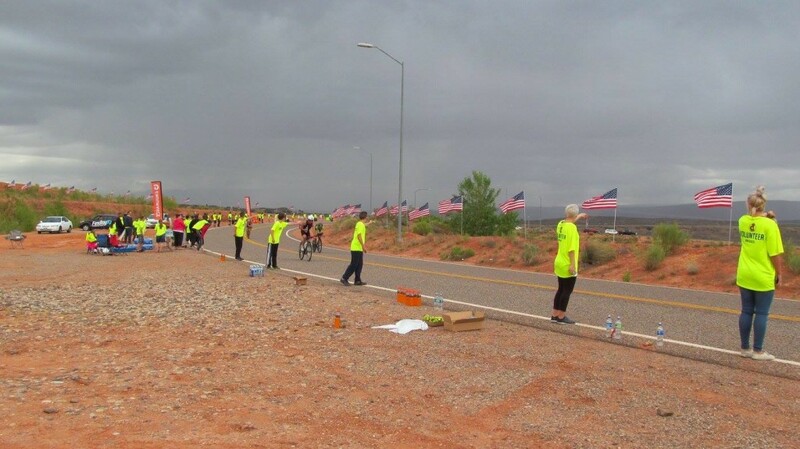 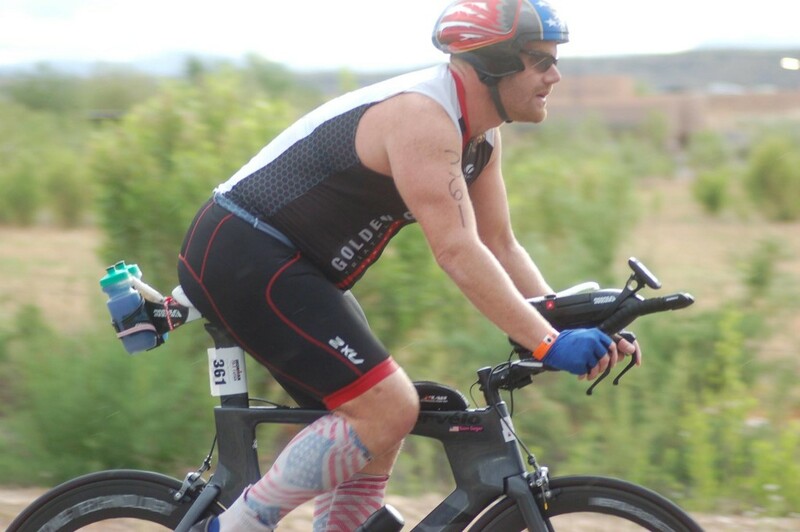 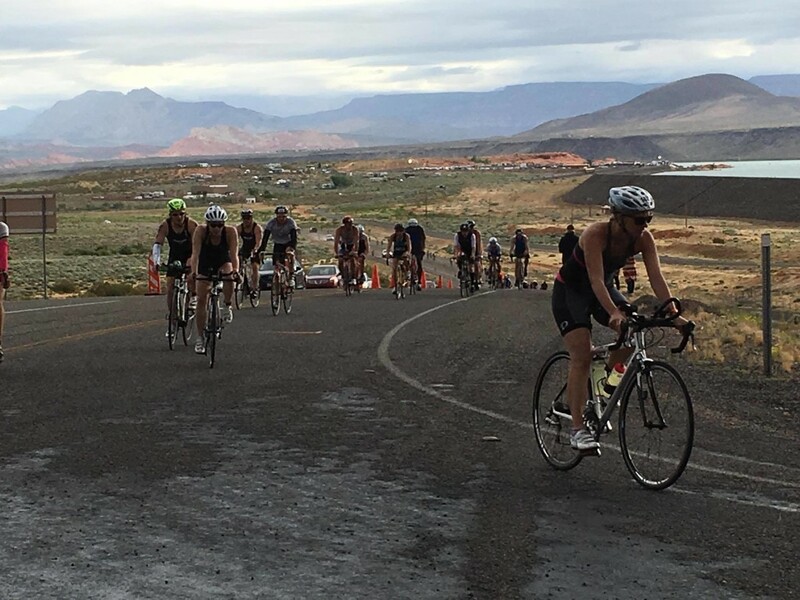 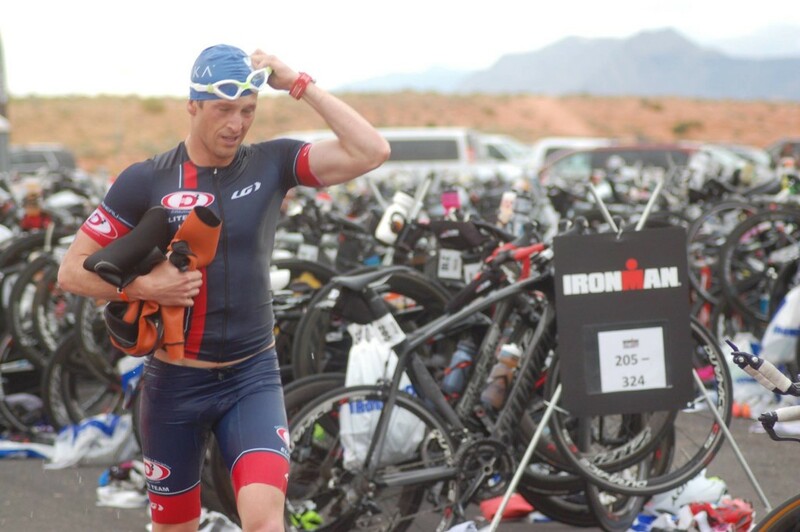 ST. GEORGE – The Ironman 70.3 St. George North American Pro Championship race is on, marking the seventh consecutive year that St. George has hosted an Ironman or Ironman 70.3 triathlon. 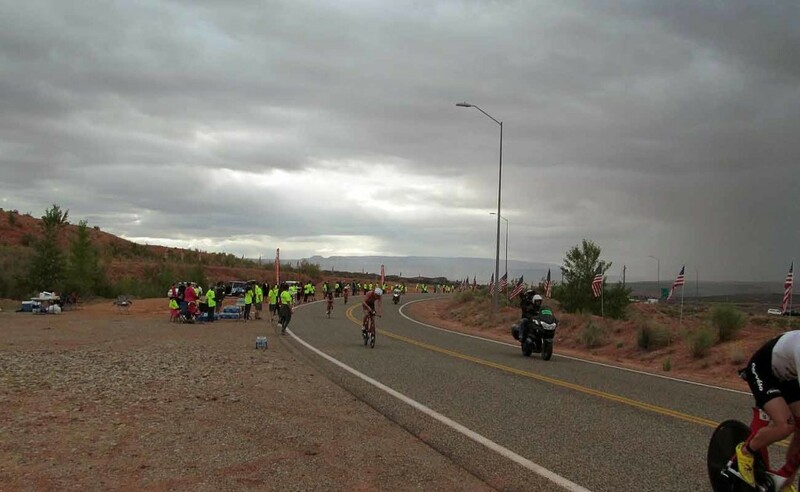 This is your news LIVE for quick photos and reports as the race progresses. 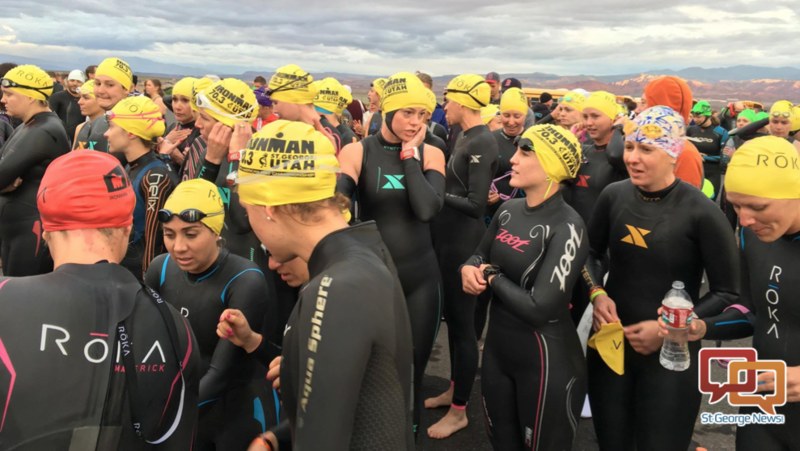 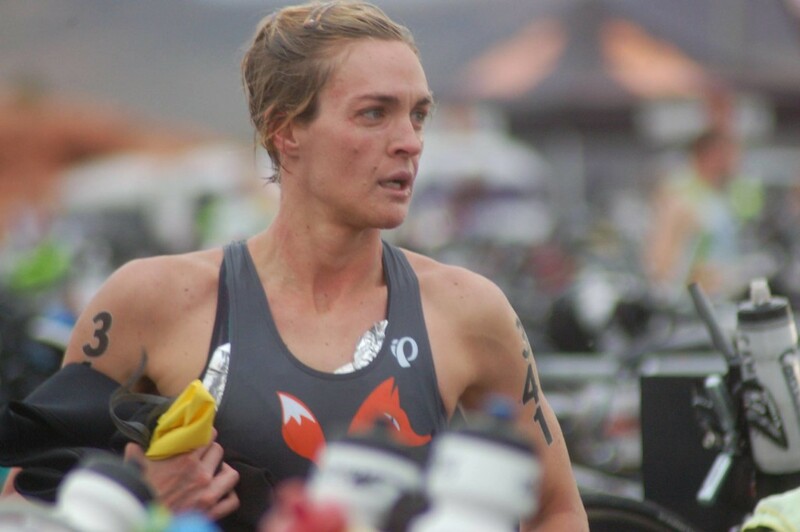 Professional triathletes are competing for a prize purse of $100,000, which will be distributed among the top 10 male and female professional finishers. 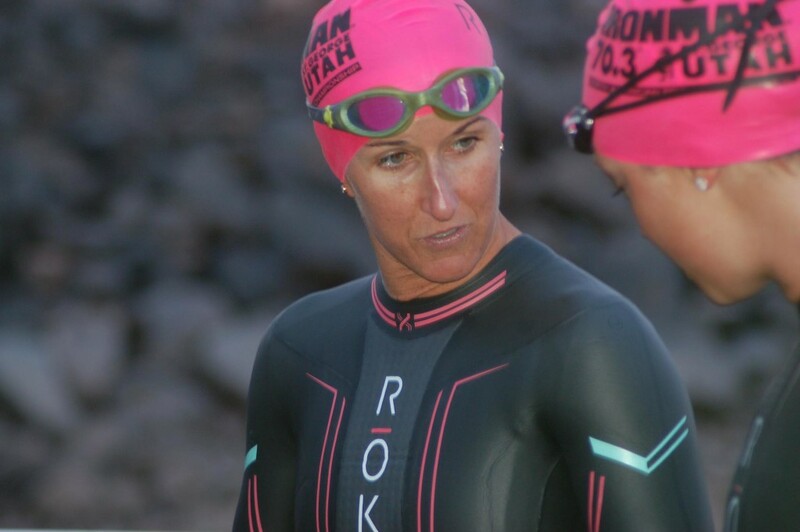 In addition, more than 2,700 registered athletes representing 24 countries are competing for 30 age-group qualifying slots for the 2016 Ironman 70.3 World Championship that will take place in Sunshine Coast, Queensland, Australia Sept. 4. 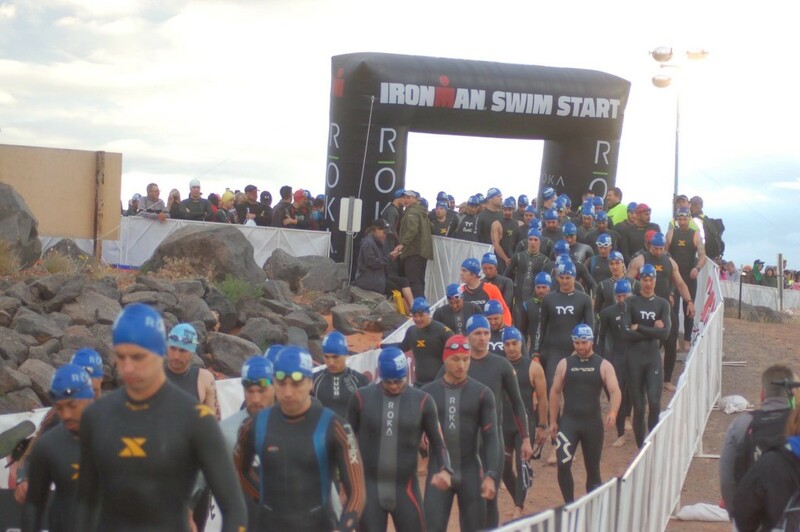 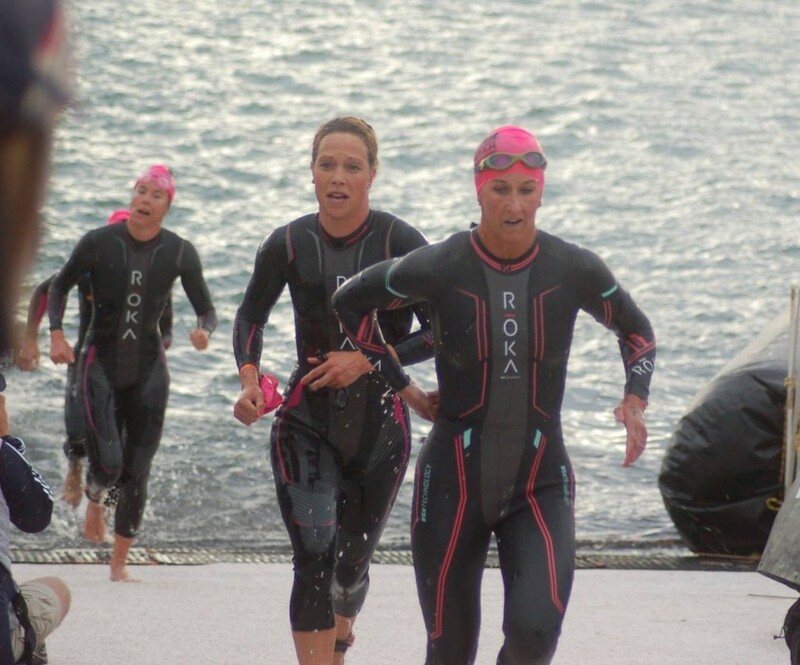 Facing these competitors is a 1.2-mile swim, 56-mile bike race and 13.1-mile run. 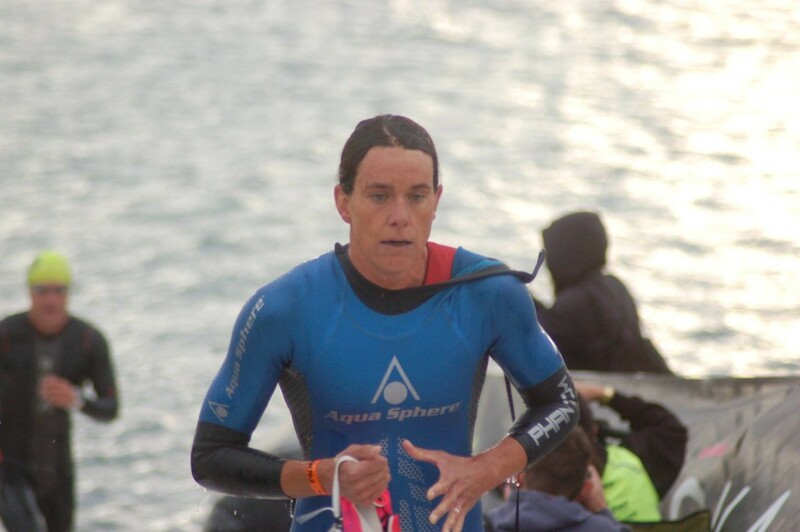 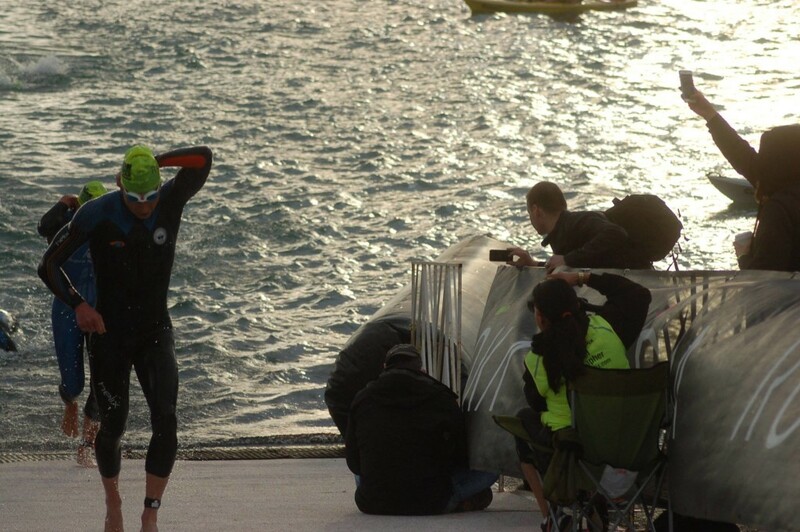 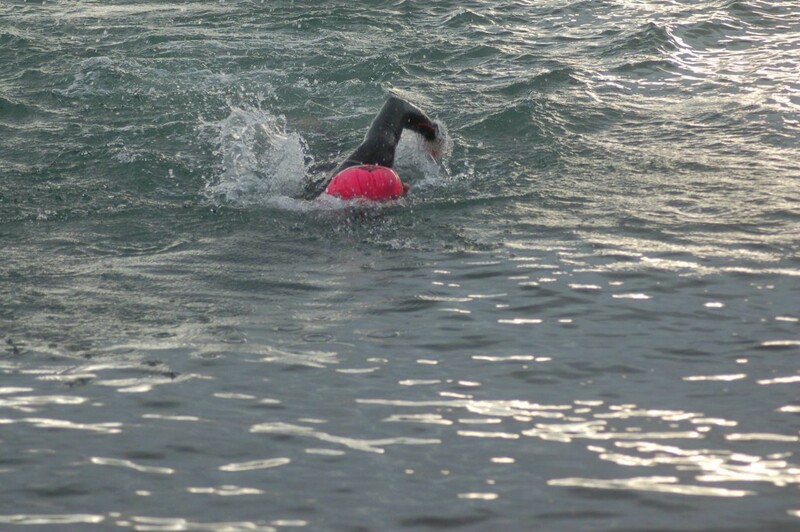 The triathletes have eight hours and 30 minutes after the final swim wave to complete the triathlon. 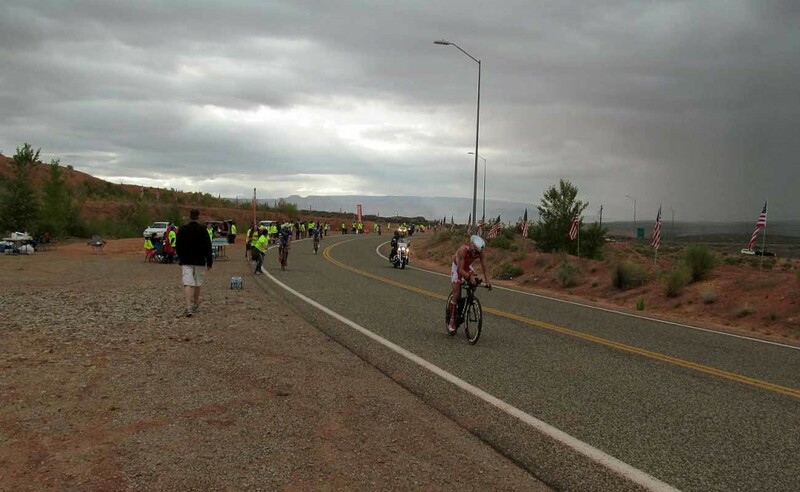 Outdoor temperature at 7 a.m. was 54 degrees with a high of 68 degrees forecast for the day overall. 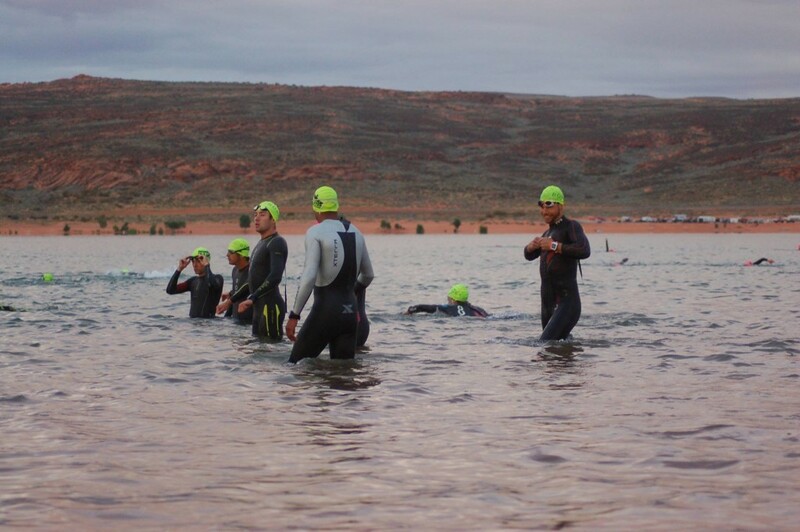 Water temperature at Sand Hollow Saturday morning is 64 degrees, 4 degrees warmer than last year. 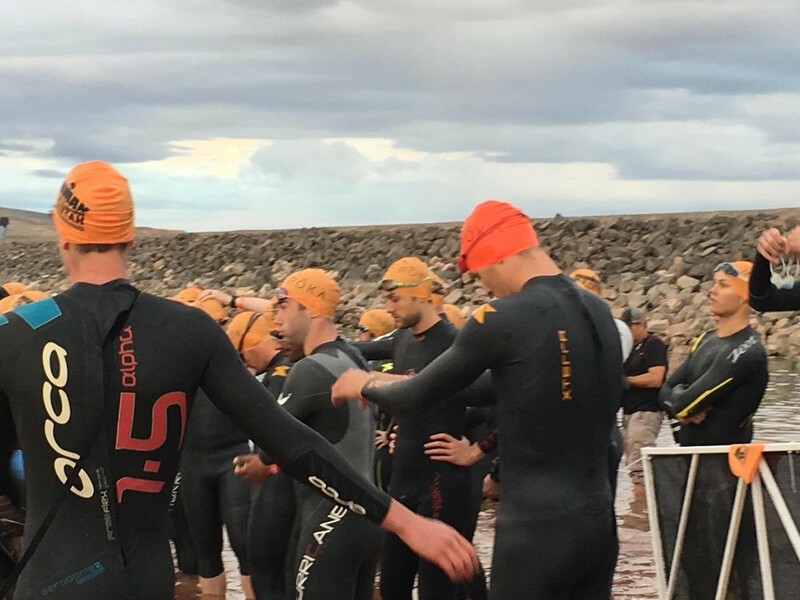 Skies are overcast with fairly steady rain falling during the swim portion of the race. 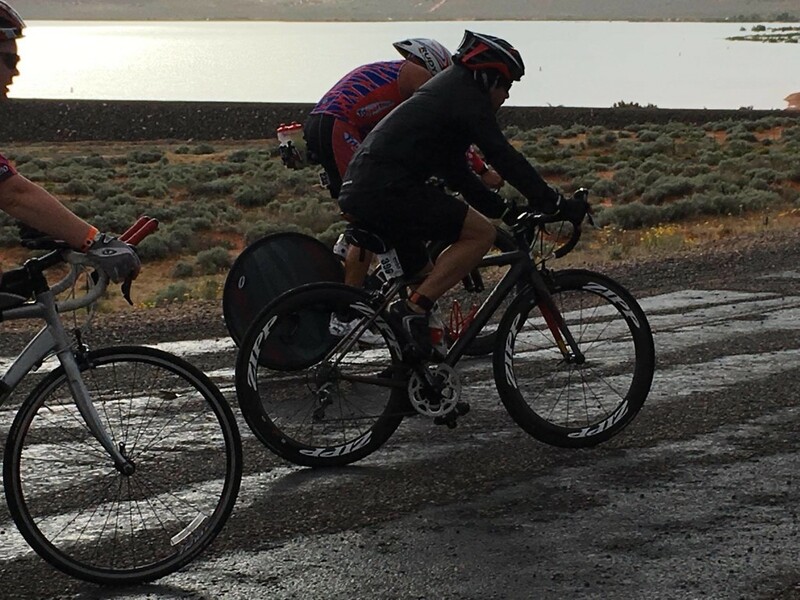 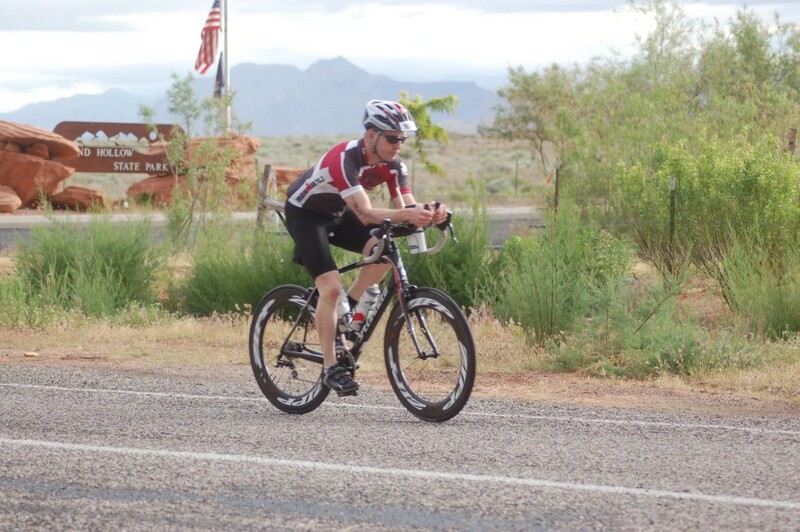 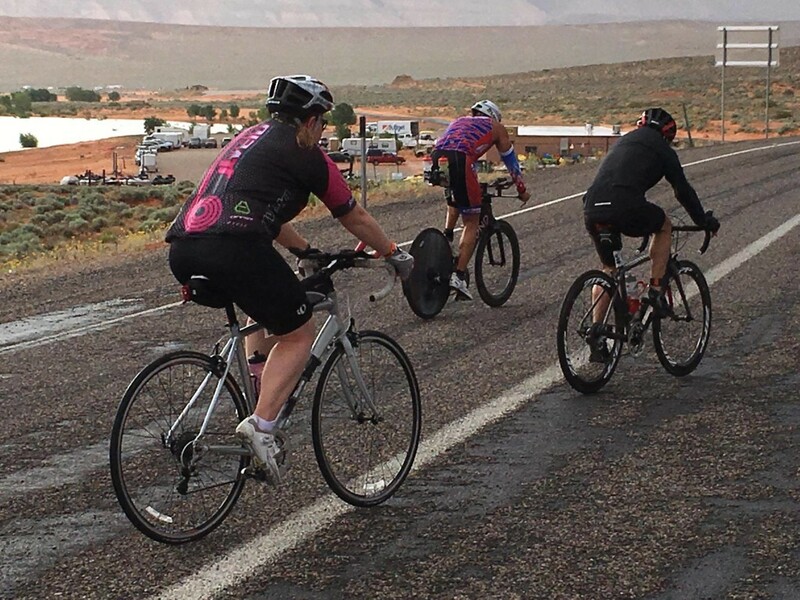 Good stuff: When a bicycle spoke broke on competitor Michael Daily’s bike, St. George Police Officer Vincent Lusk was there and gave him his jacket. 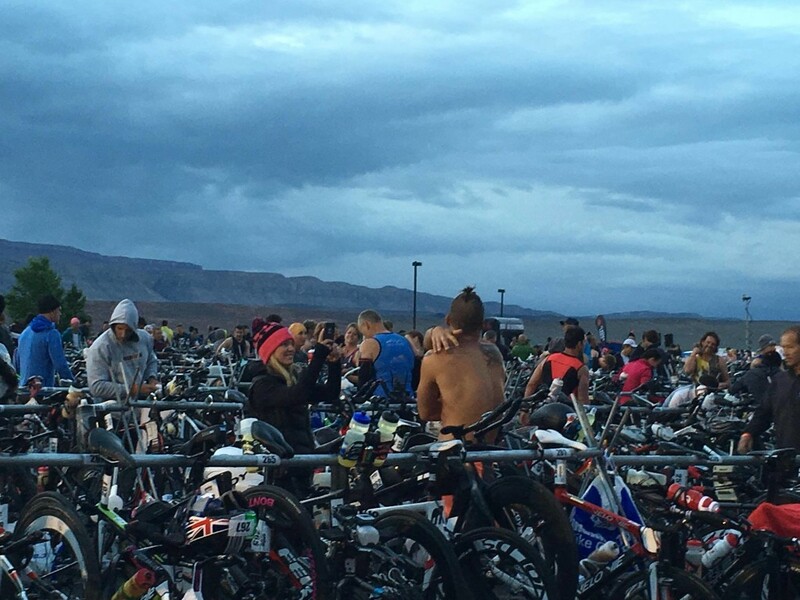 It was so cold the athlete had goosebumps. 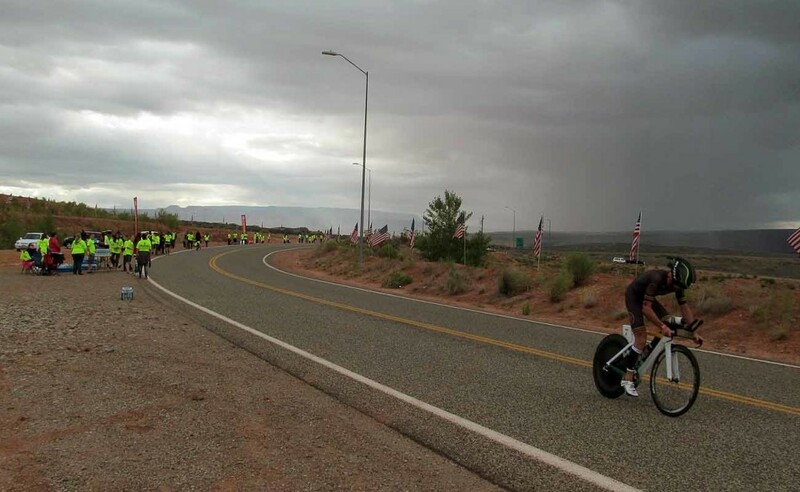 They fixed the bike and the officer told Daily to keep his jacket. 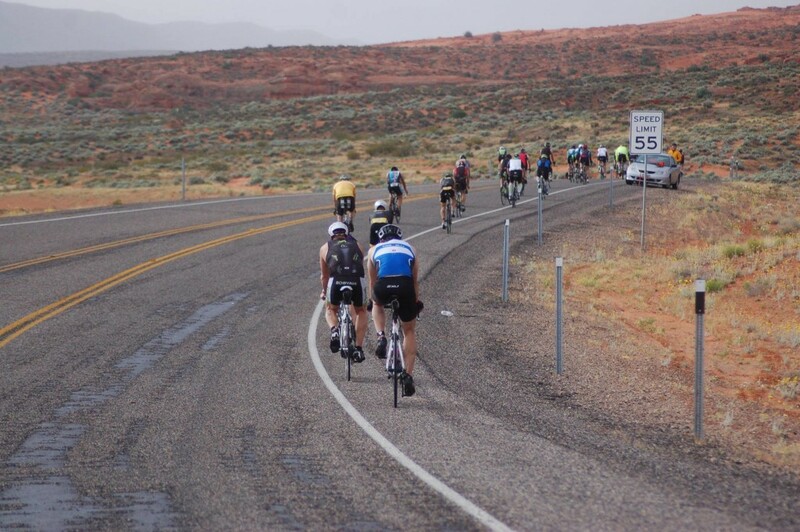 Daily did and rode off wearing that policeman’s jacket. 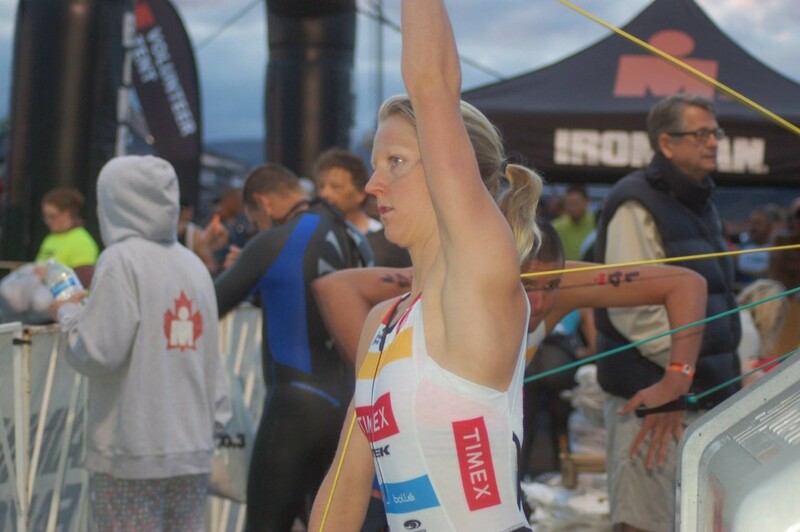 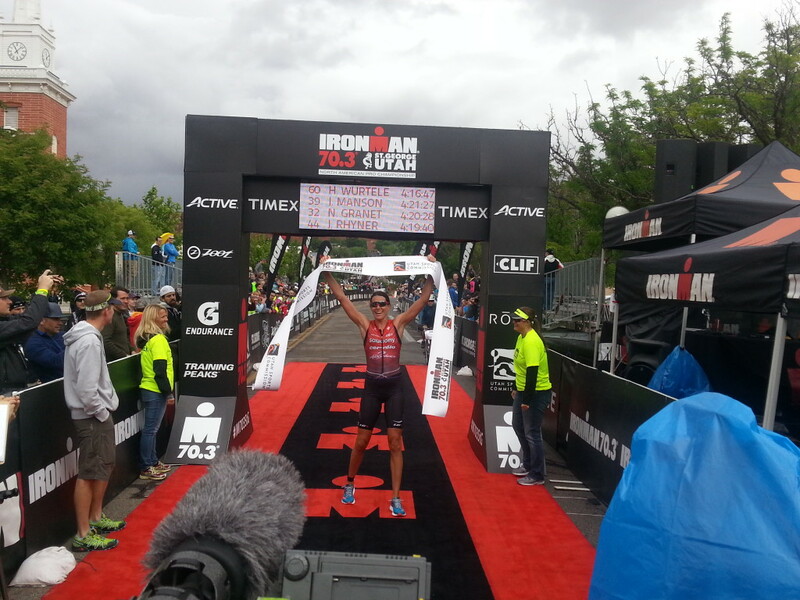 Result listings below are from the Ironman live blog as the race progresses. 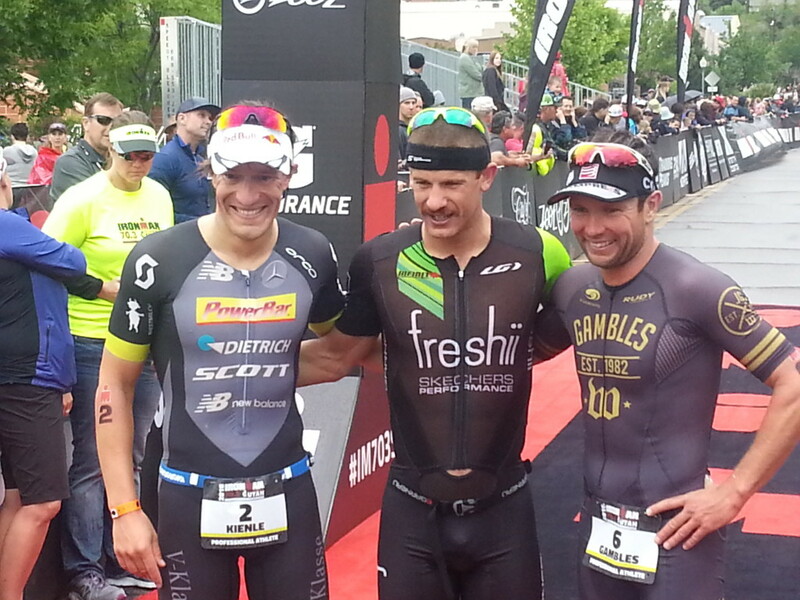 Top three pro men finishers Lionel Sanders (center), Sebastian Kienle (left) and Joe Gambles (right). 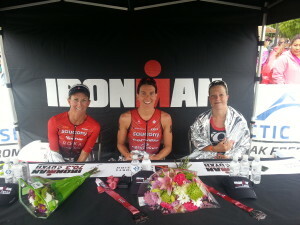 Top 3 Pro Women finishers Heather Wurtele (center),Holly Lawrence (right), Meredith Kessler (left). 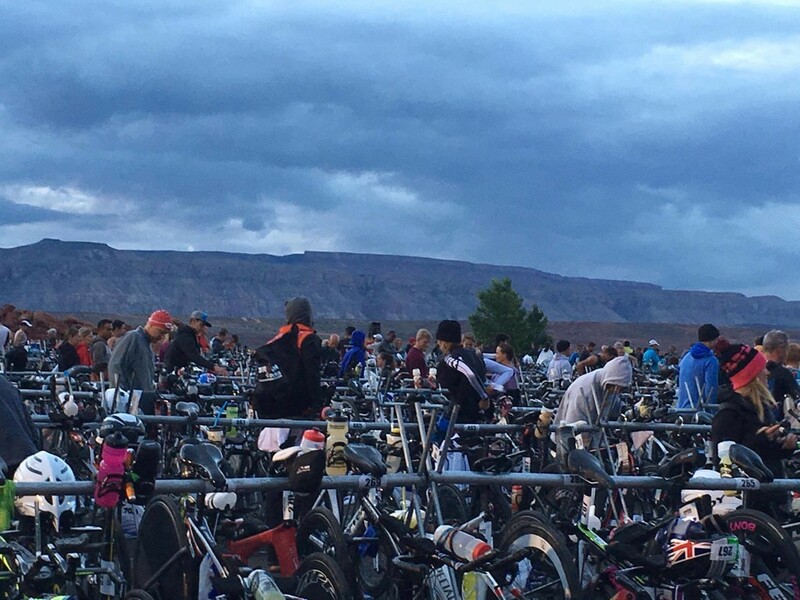 For Ironman Live coverage and course tracking, see Ironman’s live blog and athlete tracker online. 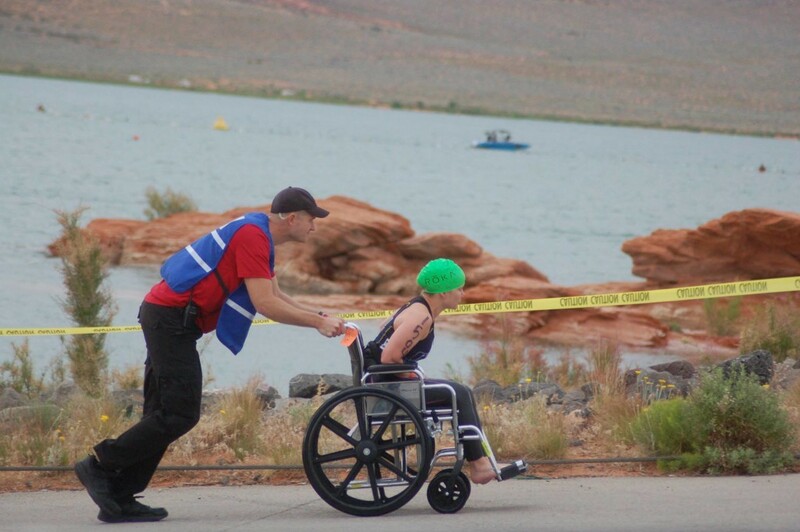 St. George News Reporter Hollie Reina contributed to this report from Sand Hollow Reservoir in Hurricane. 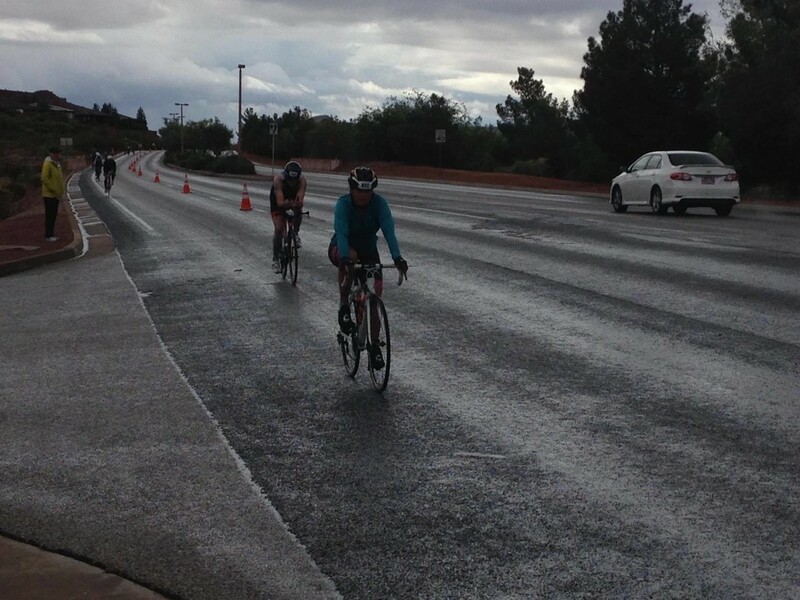 Yeah go competitors. 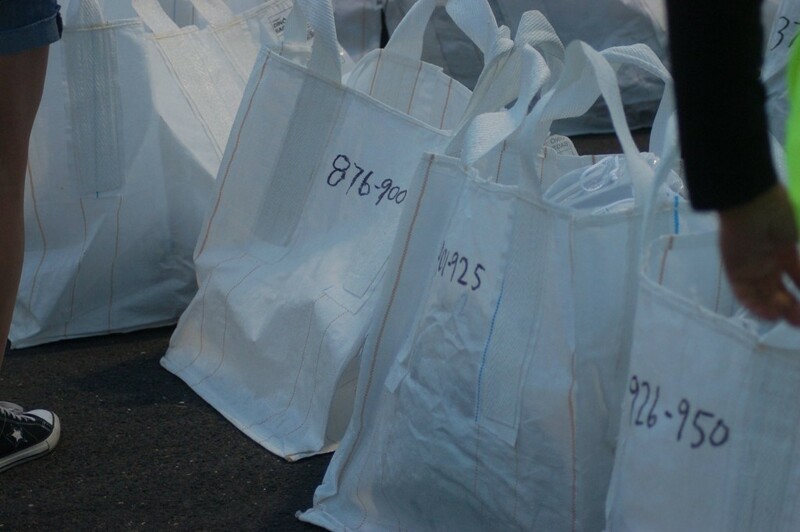 Where are the winner’s from?